Soedesco has just announced that its newest racing game Xenon Racer is Coming worldwide, both digitally and physically on 26th March, 2019 for PlayStation 4, PS4 Pro, Nintendo Switch, Xbox One, and PC (via Steam). Soedesco also released a new gameplay trailer for the Xenon Racer. 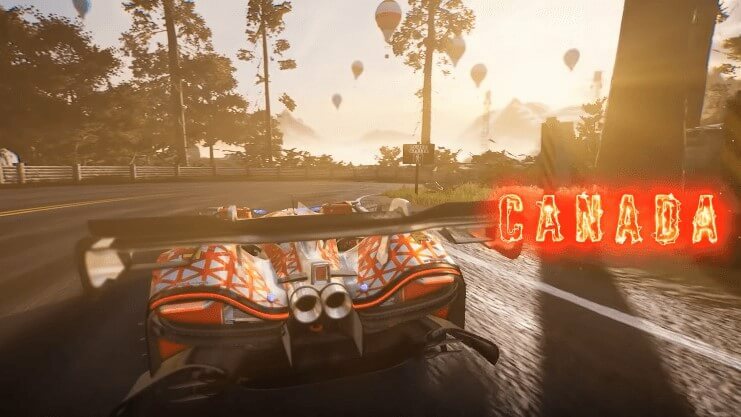 The new gameplay trailer showcases all new racing locations in China, UAE, Canada, France, Japan, USA, including four new racing tracks in North-America, France and China. Another good thing is that the tracks that can be raced in both directions. The trailer also shows the wide range of car customization that you can do in the Xenon Racer. Then comes the online multiplayer mode, and the awesome split-screen feature that is also demonstrated in the new gameplay trailer. The new gameplay trailer of the Xenon Racer overall looks amazing. "In the near future, the official racing federation has ordered a seasons pause from racing, to allow teams to ease into the transition to flying vehicles. To bridge this gap, top hybrid car manufacturers host a rogue championship for rookie drivers on the streets of cities worldwide. Their advanced cars drive on electricity and Xenon gas, resulting in crazy speeds. Get behind the wheel, keep your adrenaline in check and drift through the streets. Boost to absurd speeds and become the ultimate Xenon Racer! -Customize your car with tons of parts to create the ultimate racing vehicle"